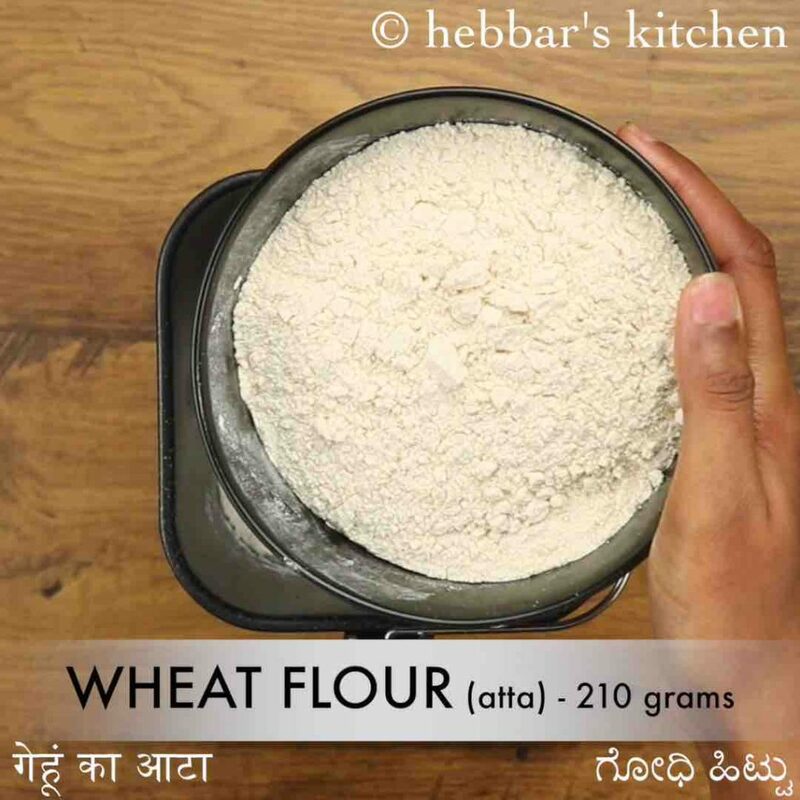 wheat bread recipe | whole wheat bread | wholemeal bread or atta bread with detailed photo and video recipe. a type of brown bread recipe prepared with whole-wheat flour or chakki atta as a healthy alternative. 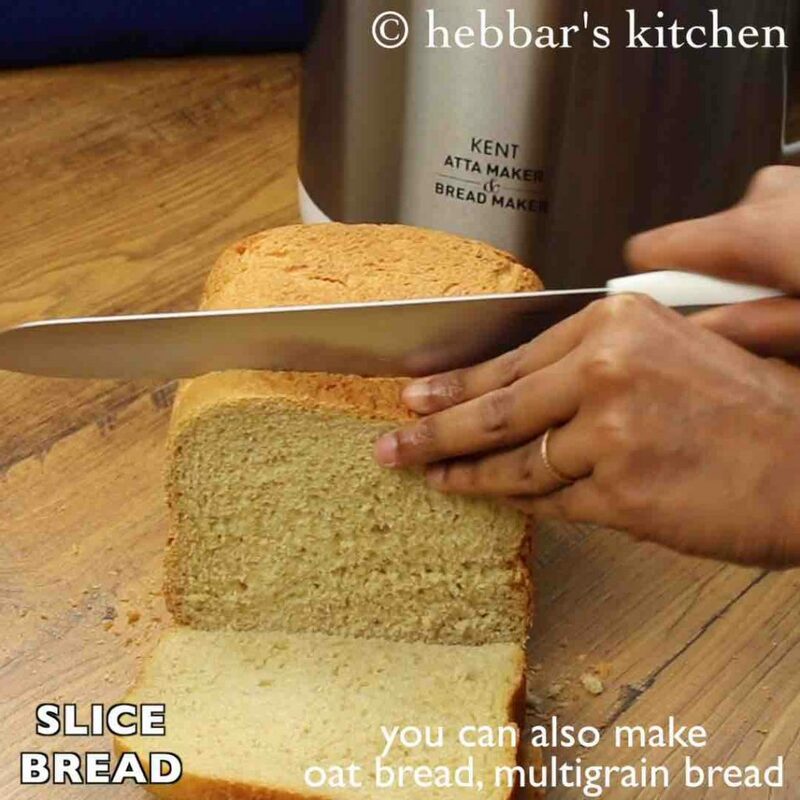 traditionally bread are prepared with plain flour or maida but this homemade bread is prepared with wholemeal wheat. these wheat-based bread are ideal for breakfast and sandwich recipes but can also be served as butter toast. 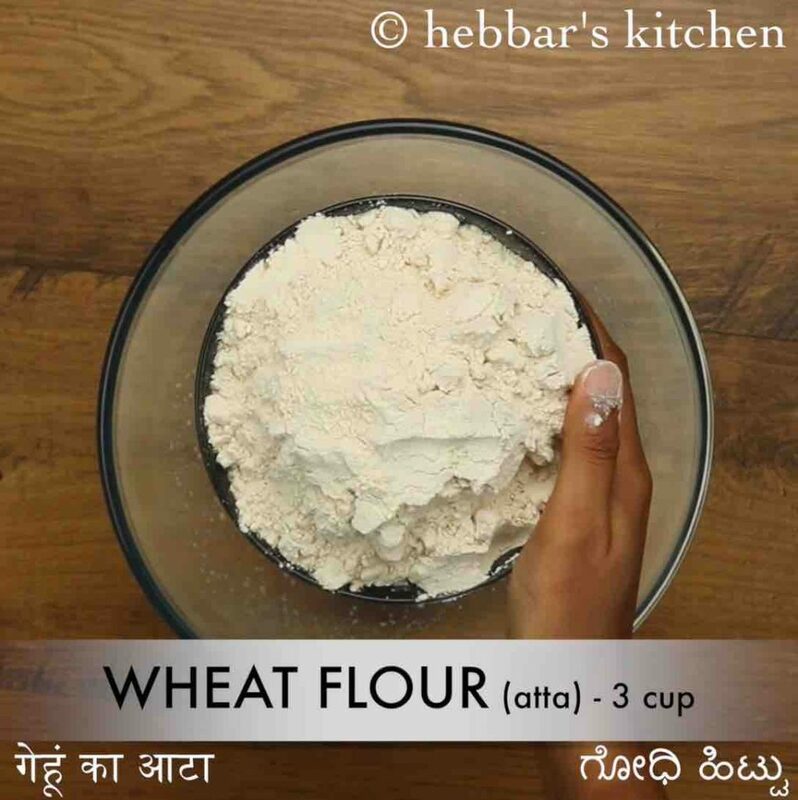 wheat bread recipe | whole wheat bread | wholemeal bread or atta bread with step by step photo and video recipe. traditionally it has been prepared with all-purpose flour with an activating agent like yeast baked in a conventional oven. 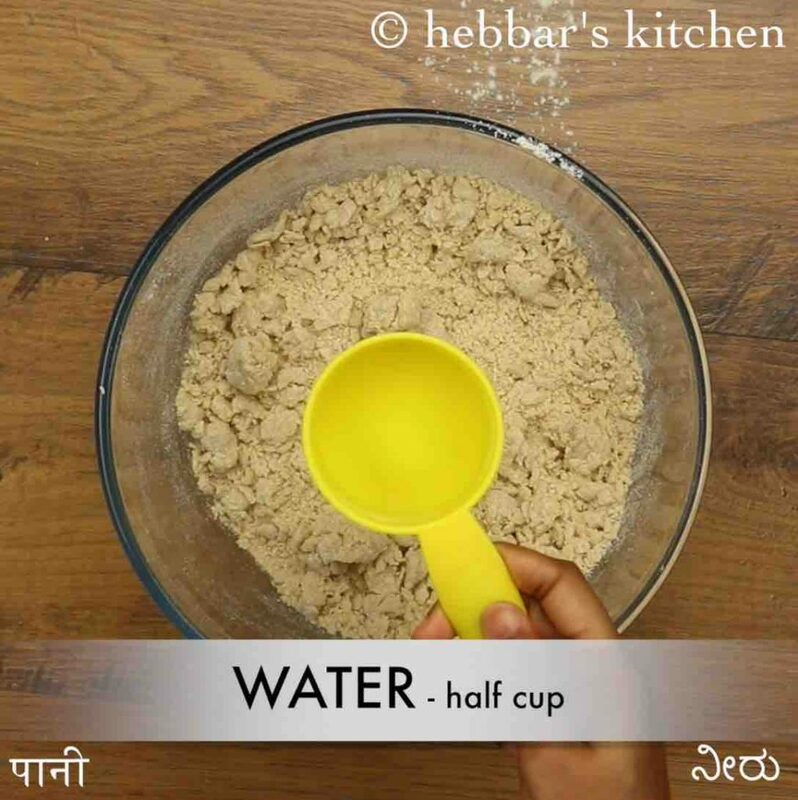 however, usage of plain flour or bread flour may not match certain people with specific dietary requirements and hence to cater those wholemeal bread is prepared. bread recipes have always been a popular dish throughout our history since the beginning of agriculture. bread has been a staple food of many cuisines all over the world and hence you may see myriad ways and variations to it. in india especially the north indian cuisine practices flatbreads prepared especially with wheat and plain flour. however, the cuisine’s of europe and africa generally shape the bread into a loaf which can be later sliced for the specific requirement. 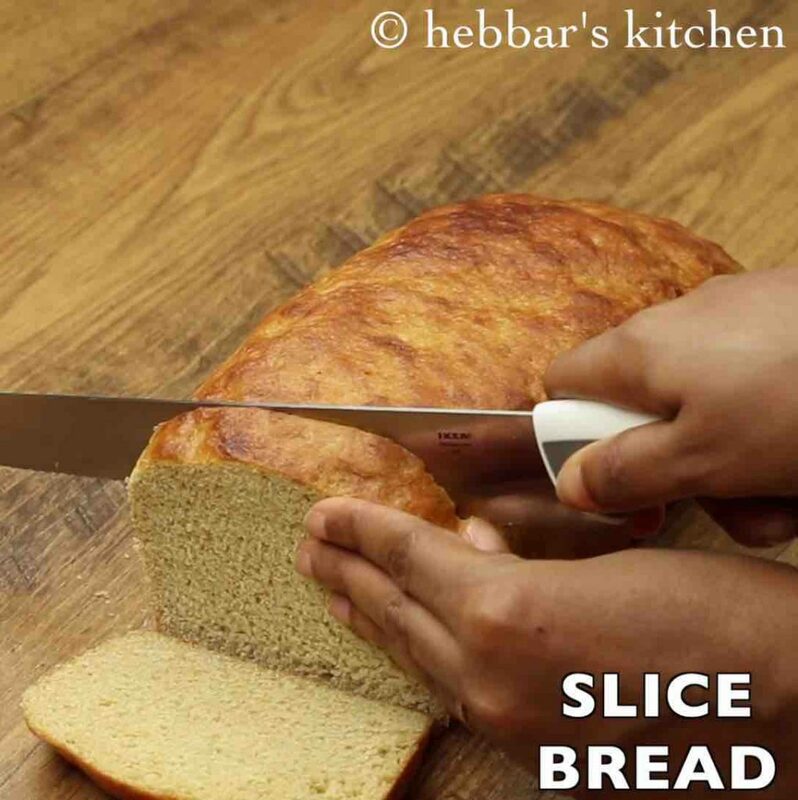 even this recipe post deals with the same concept of bread loaf which is later sliced into thin bread slices. 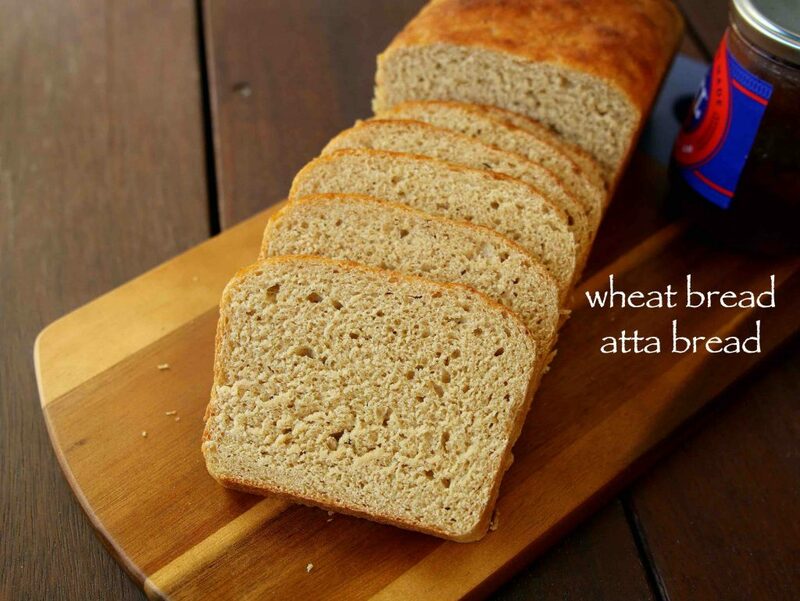 moreover, these individual eggless whole wheat bread slices come with air pockets which makes it soft and spongy. these bread slices can be used for wide range of dishes like a sandwich, bread-related snacks and even bread related desserts. furthermore, some critical and important recommendations and tips while preparing the wheat bread recipe. 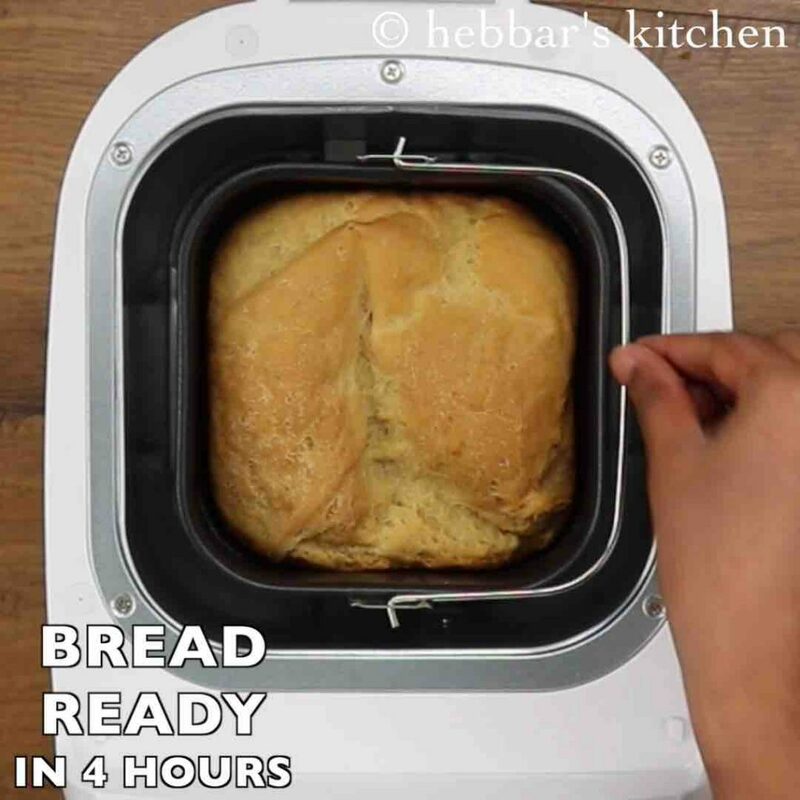 firstly, the bread recipe does not include any fancy ingredients and is prepared with basic ingredients like wheat and yeast mixed with milk or water. but the critical aspect remains in the kneading and yeast proofing. i have kneaded the dough for about 15 minutes which is later followed by shaping and tuck in. there isn’t any short-cut to it as has to be done patiently. 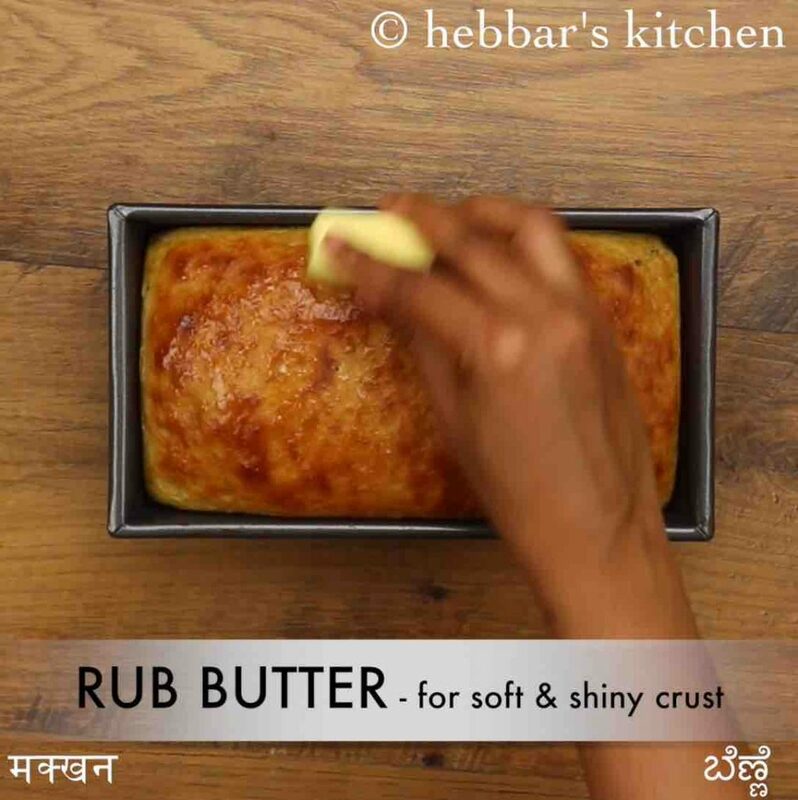 in addition, once the dough is shaped and has risen in the baking tray, do not forget to brush and wash it with milk. this step helps to give a golden brown and crunchy texture. firstly, in a large mixing bowl take 1 cup warm milk. further add 3 cup wheat flour, 1 tsp salt and 2 tbsp oil. mix well making sure everything is combined well. additionally, add ½ cup water and knead well. cover with cling wrap or moist cloth and rest for 2 hours. 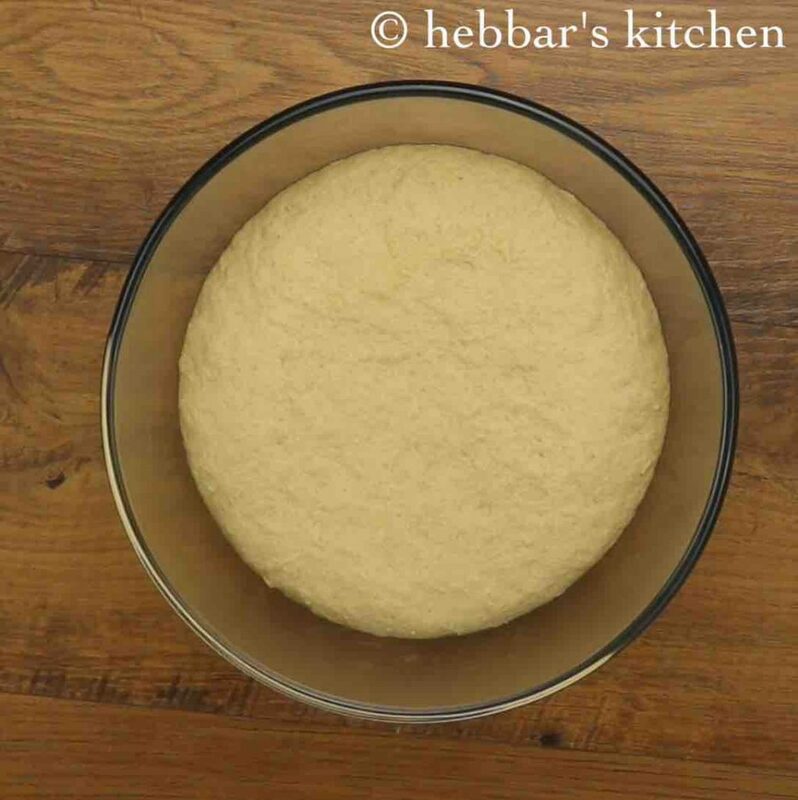 after 2 hours, the dough will double in size. 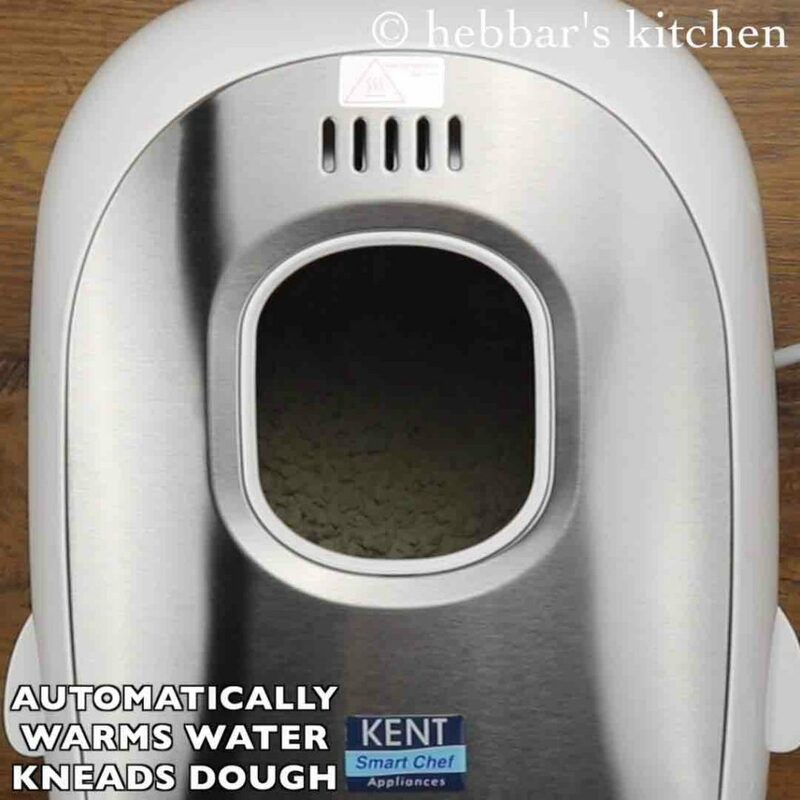 knead again to a cylindrical shape. 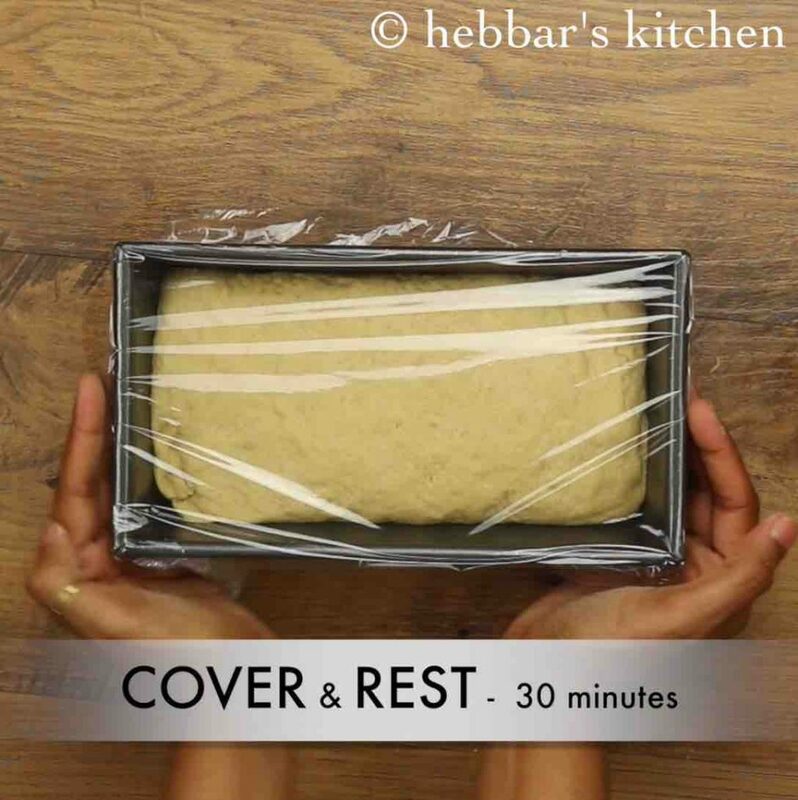 cover and rest for 30 minutes or till dough rise just an inch above the loaf pan. 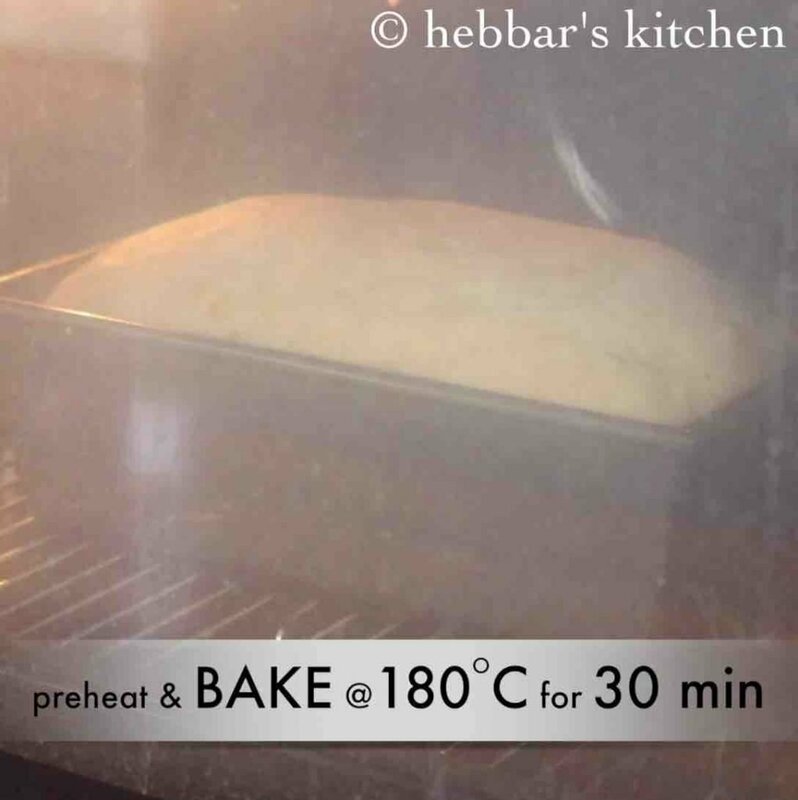 place the bread loaf pan in preheated oven and bake at 180-degree celsius for 30 minutes. 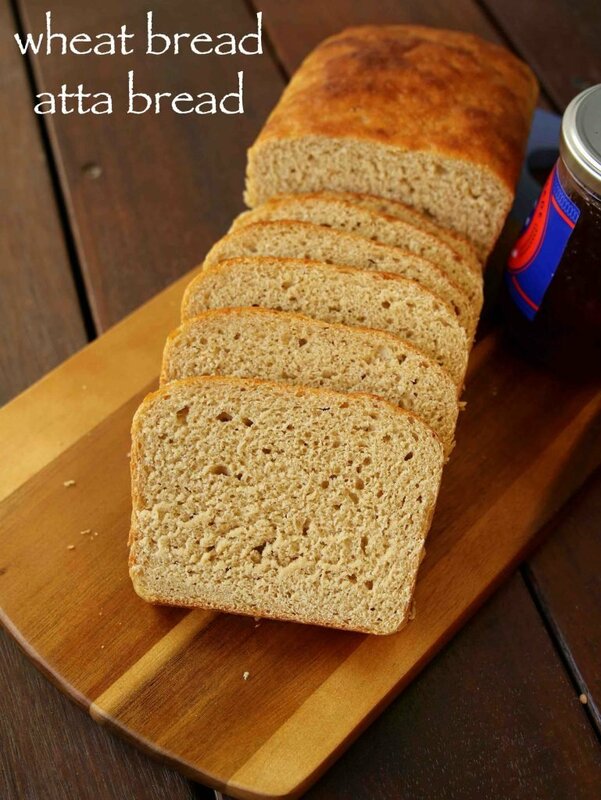 finally, serve whole wheat bread or atta bread with jam or make a sandwich. firstly, in a large mixing bowl take 1 cup warm milk. for a vegan recipe, replace with warm water. 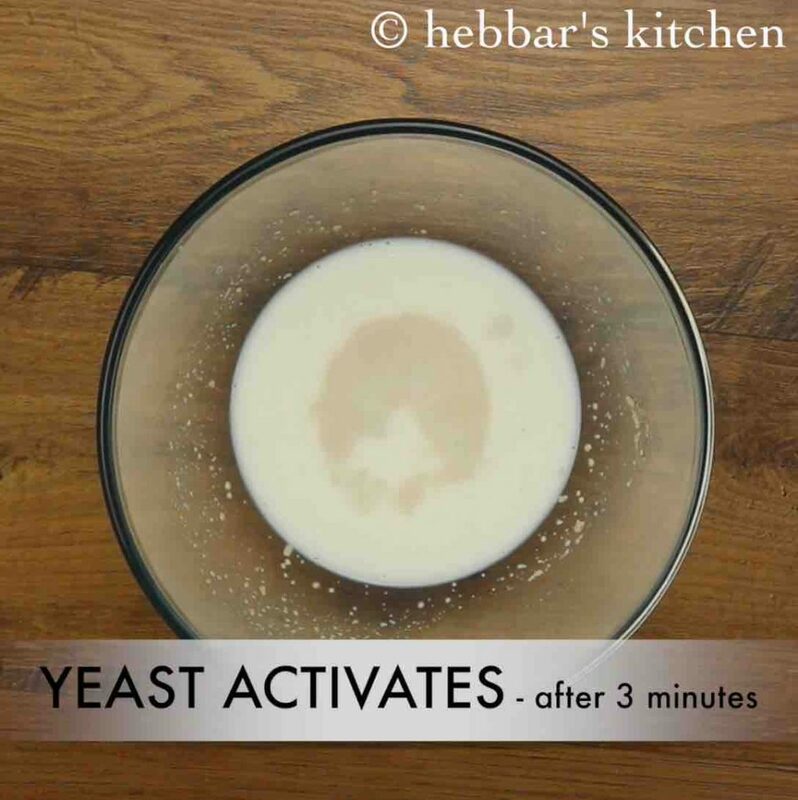 additionally, add ½ cup water and knead 5 minutes. 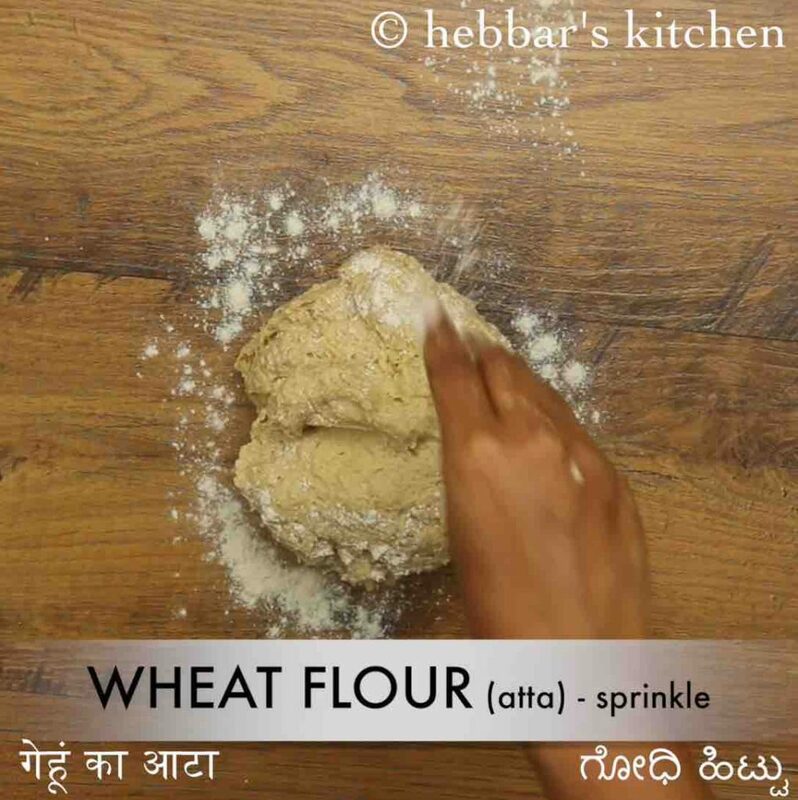 take the dough on a flat surface and sprinkle some wheat flour to prevent from sticking. continue to knead till the dough turns light, airy, and chewy. 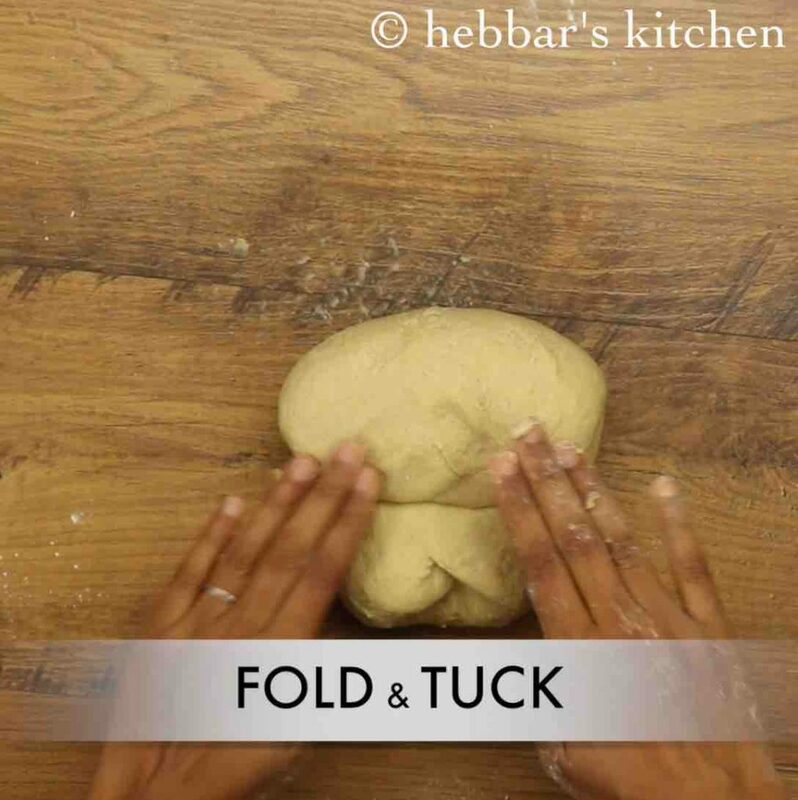 fold the dough and tuck well. 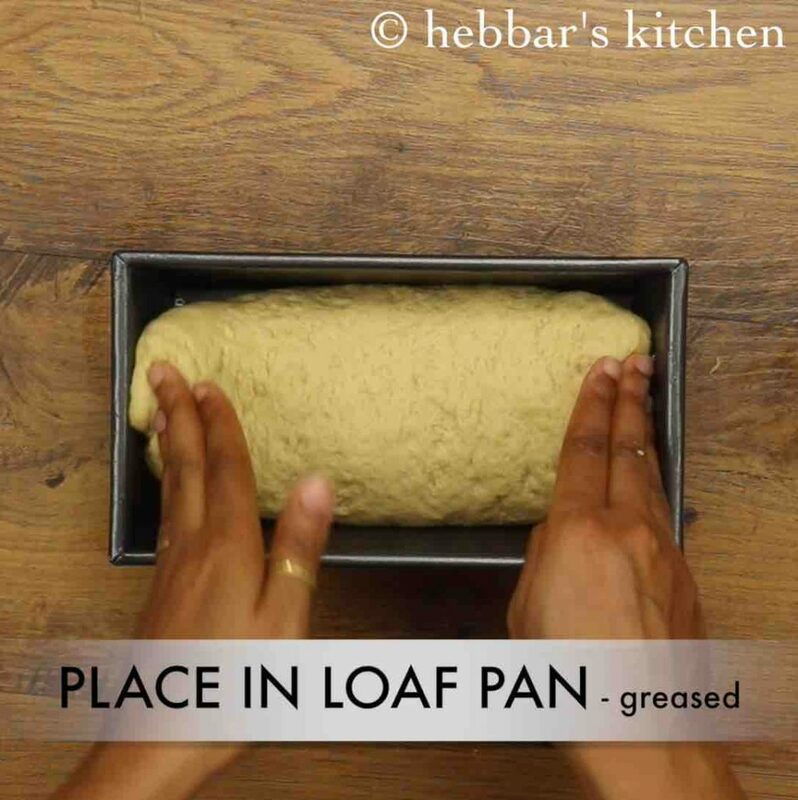 place the kneaded dough into greased bowl. 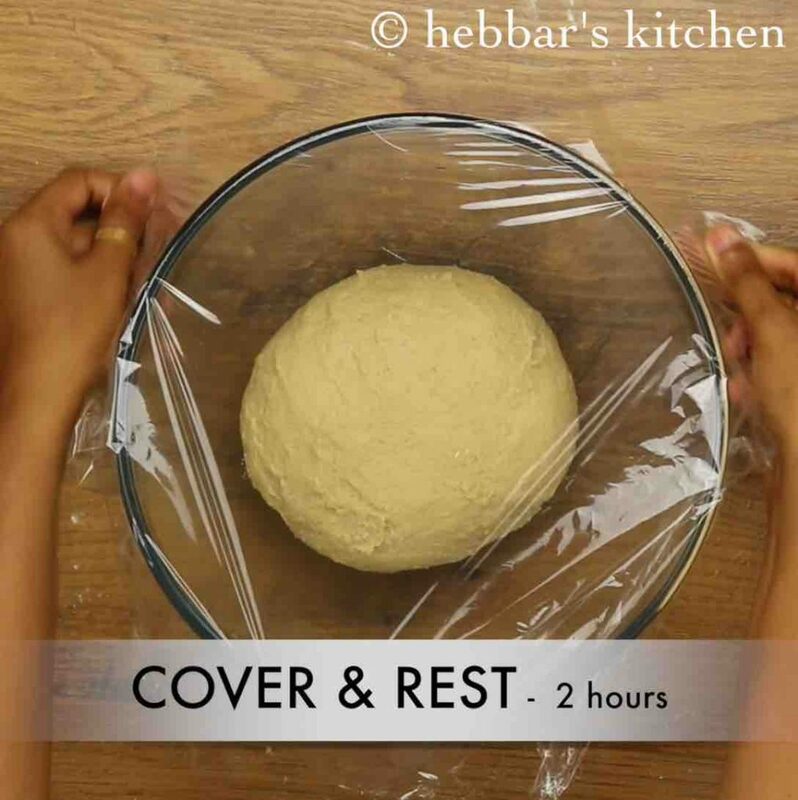 cover with cling wrap or moist cloth and rest for 2 hours. 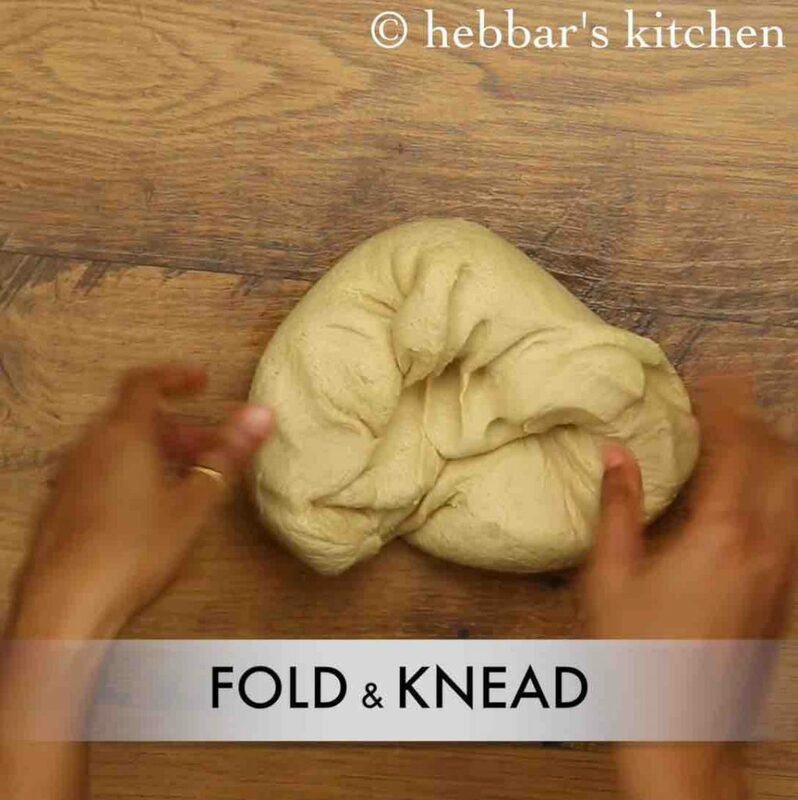 take the dough out and knead by folding from corners. roll into cylindrical shape, and flatten slightly. 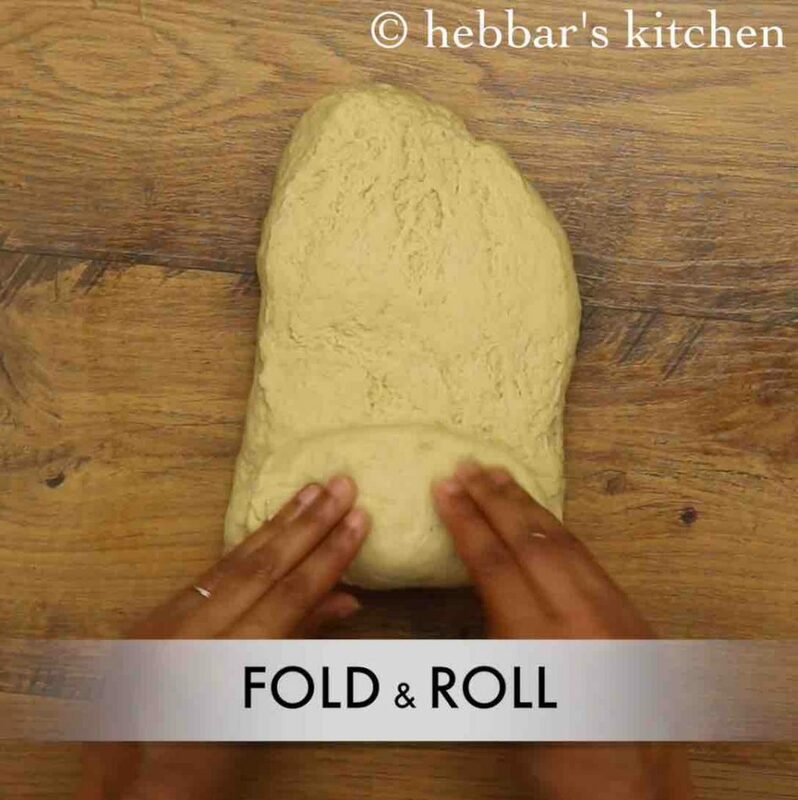 fold the dough and roll tight. 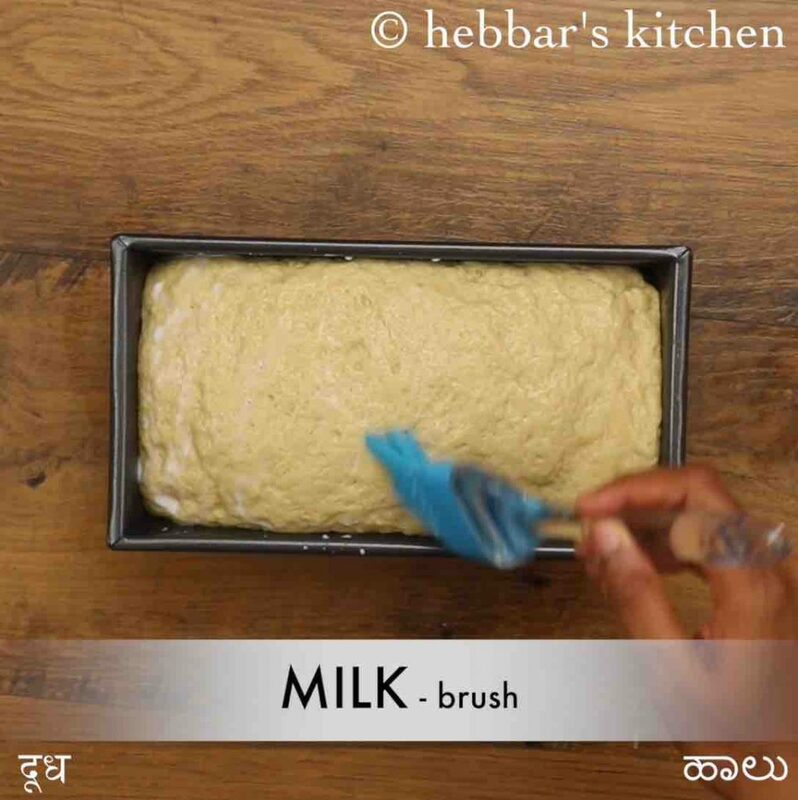 brush the bread dough with milk to get golden brown colour while baking. 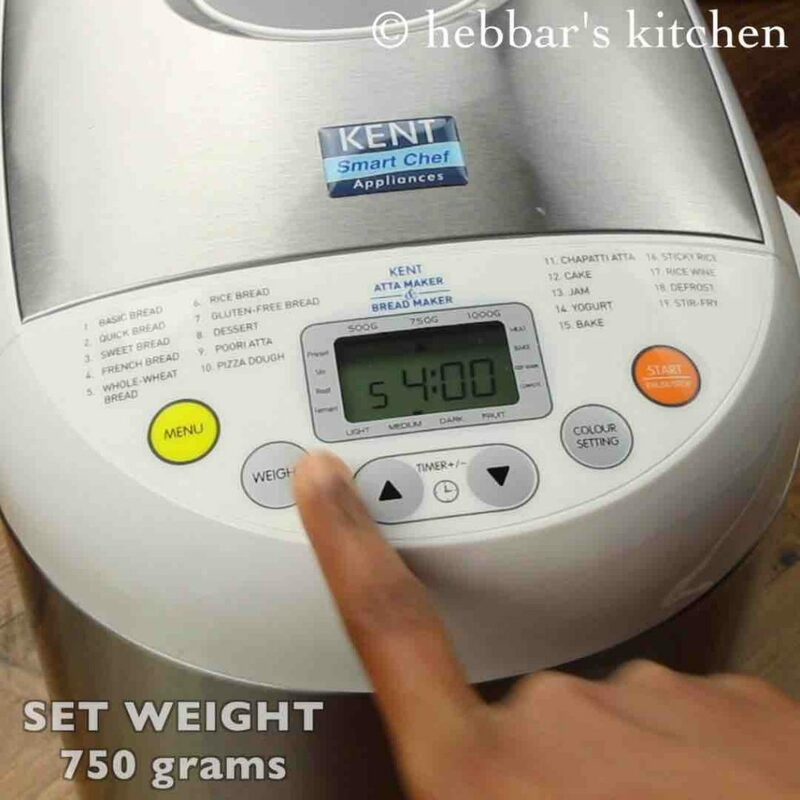 firstly, in a kent atta maker & bread maker’s pan put 260 ml water, ½ tsp salt, 3 tbsp sugar and 2½ tbsp oil. 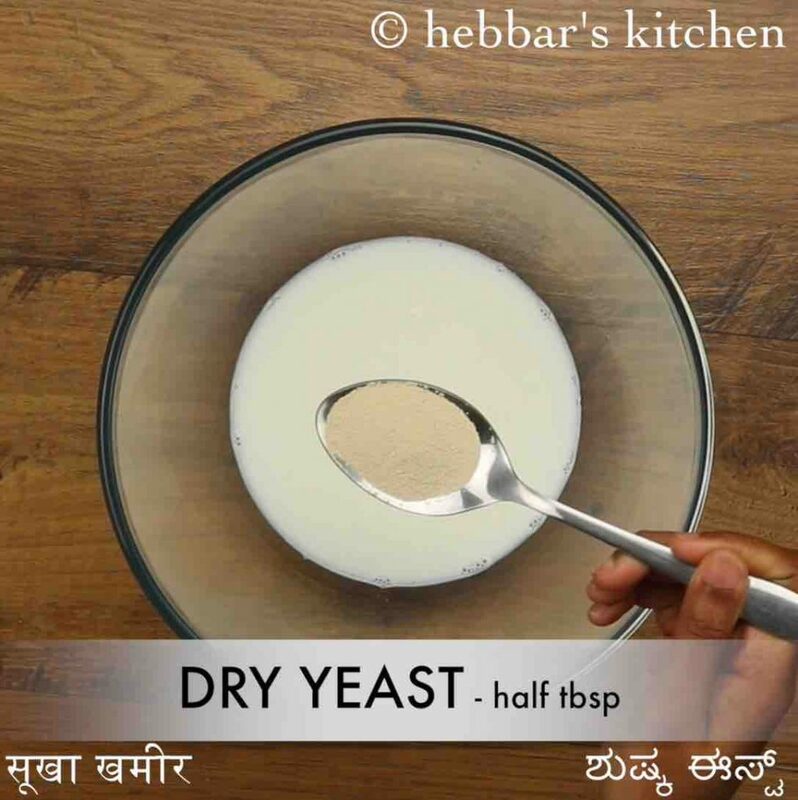 also put 210 gm maida, 210 gm atta and 1½ tsp dry yeast. 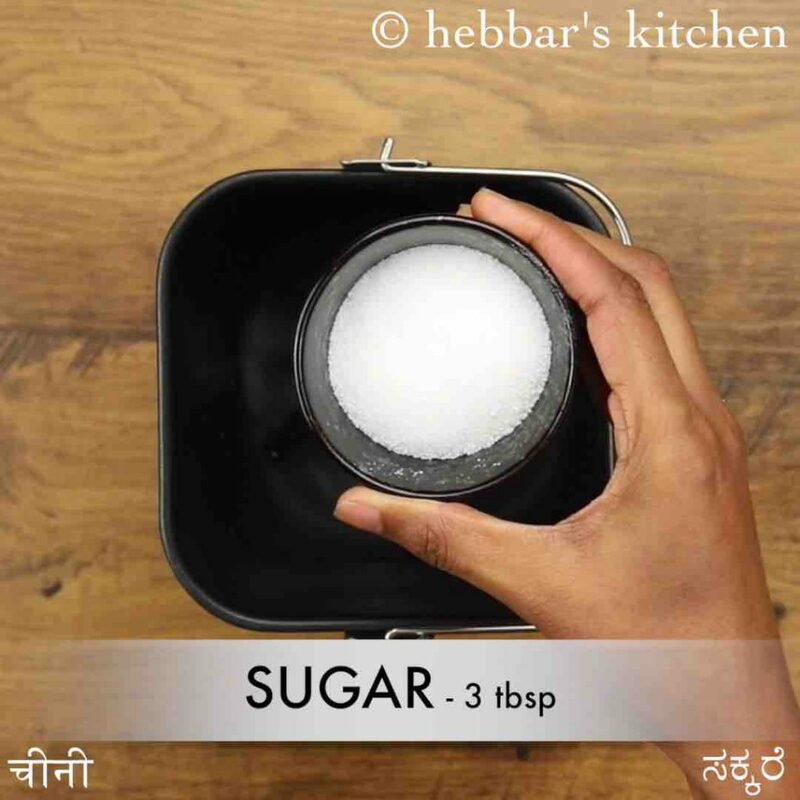 always add liquid followed by 1½ tsp dry ingredients. 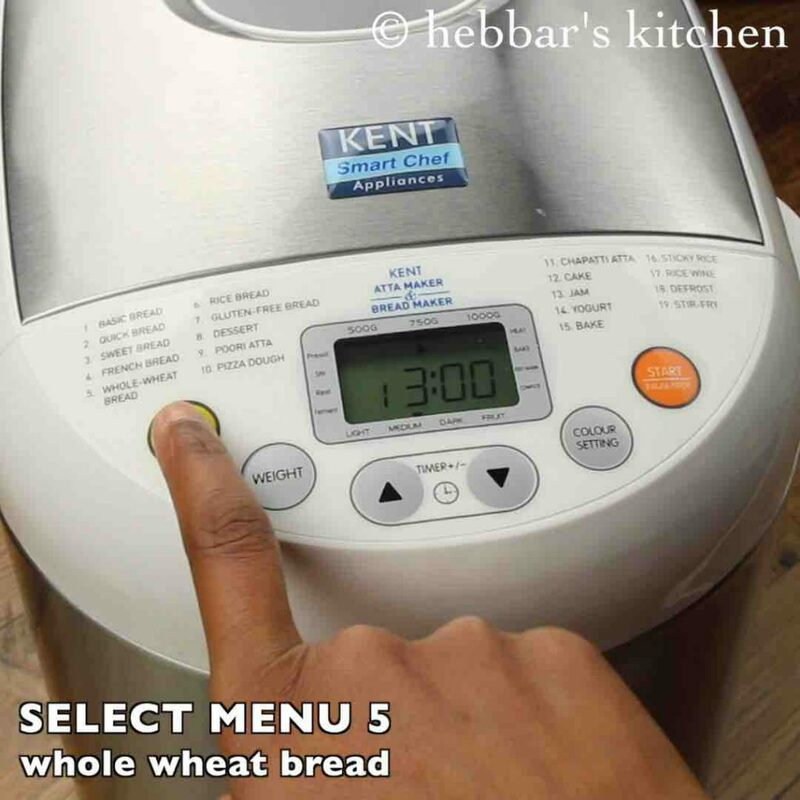 press menu button to set whole wheat bread. also set the weight to 750 grams and colour setting to a dark crust. once the process is complete, remove the bread pan. 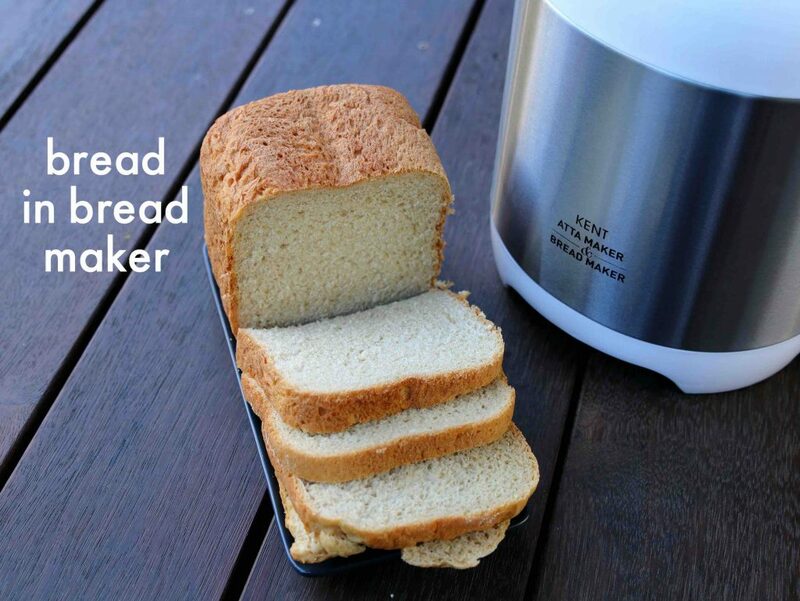 remove the bread from bread pan slowly and cool for 20 minutes before slicing. finally, serve whole-wheat bread with jam / use to make a sandwich. 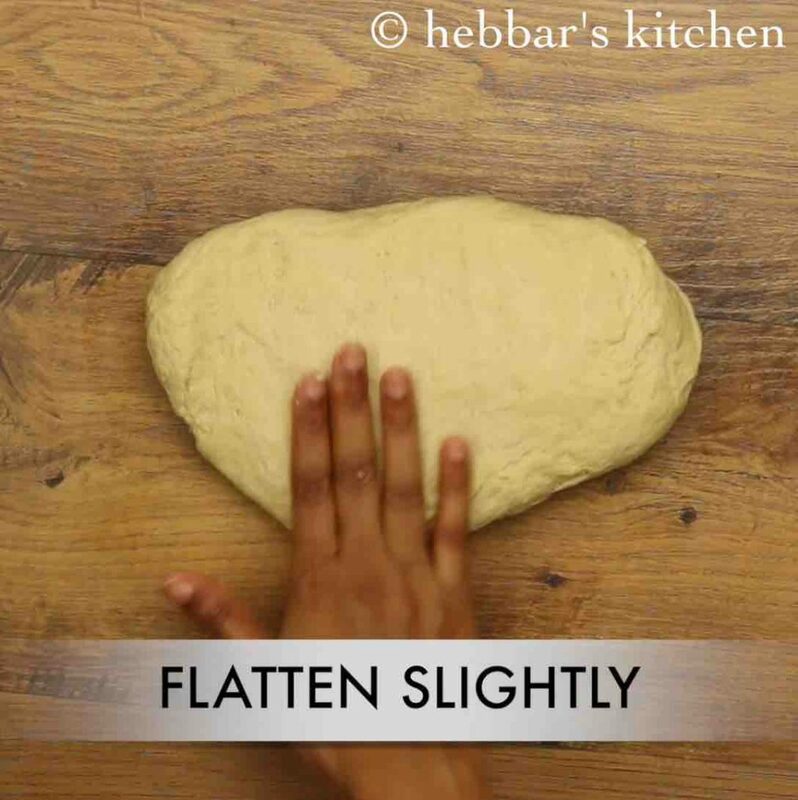 firstly, make sure to knead the dough well, it will not turn soft. additionally, to prepare white bread, replace wheat flour with maida. furthermore, if you are vegan then replace milk with water. 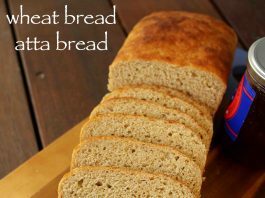 finally, whole wheat bread or atta bread stays good for 2 days as we are not using any preservatives.